Wow. We recently discovered what may be the best holiday festivity –ever. It’s the Seattle Christmas Ship Festival. Apparently every year this annual Northwest tradition draws thousands of visitors and natives to Seattle shores. The festival dates back to 1949 when the Seattle Department of Parks and Recreation officially named a decorated boat parade the “Seattle Civic Christmas Ship Festival” to commemorate Seattle’s proud maritime history. We decided somewhat on a whim to check out the festival since we’d heard that it was “pretty neat”. Well, were we ever pleasantly surprised at just how magical it turned out to be. Even though I’m used to seeing and photographing neon lights and impressive casino hotels on the Las Vegas strip, the lights here amazed me. At least a hundred boats lit up Lake Union as they sailed in for the celebration. Christmas lights of every color adorned each boat. Since there was a contest for best decorated, boat owners went all out in decking out their vessels. Each one was unique. One boat even displayed a full size real Christmas tree on its deck. The Spirit of Seattle is the designated Christmas Ship, operated by Argosy Cruises. Patrons can purchase tickets to ride the Christmas Ship that leads the parade, or one of the Argosy ships that follow. On board, there are family friendly activities, including a visit from Santa, dining, and a local choir. All the boats stop briefly and gather around the Christmas ship during a performance by the choir. We joined the party on shore where communities congregate around bonfires near the waterfront to witness the spectacular views. It was quite a remarkable experience to warm up by the fire, sip hot chocolate, and listen to the choir. On the night of the grand finale, even the rain couldn’t stop thousands of people from coming out and enjoying Christmas carols sung by the Seattle Girls’ Choir. For us, the rain created awesome atmospheric conditions that turned the sky in this photograph gold, illuminating the Seattle skyline. According to Seattle PI, the number of participants has tripled since the festival began. One of the coolest things were the kayakers who floated alongside the huge ships in their own light-adorned watercrafts. And then there was the guy on the paddleboard decorated completely with glow sticks. Yes, in the 40-degree-and-raining weather. Now that’s Christmas spirit. Our goal next year is to bring our own kayaks out from Las Vegas to Seattle and join in on the fun. Merry Christmas! 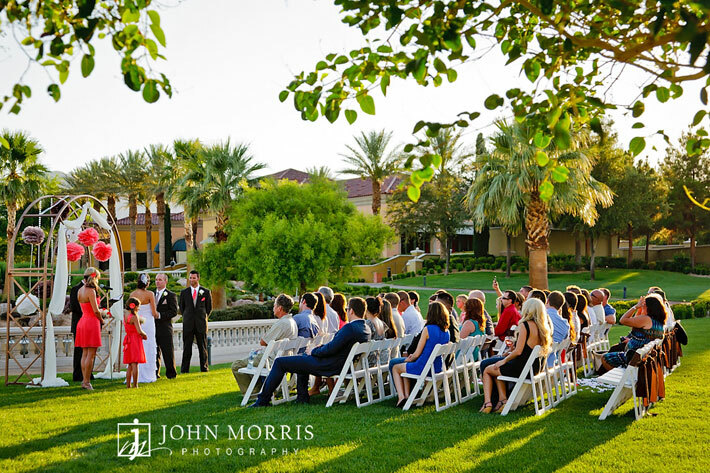 Elizabeth and Tyler were married in August at the beautiful Siena Golf Club in Las Vegas. 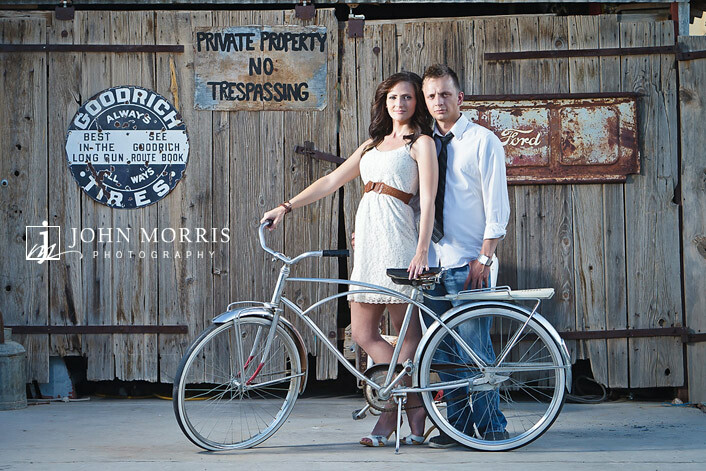 You may remember this couple from earlier in our blog when we shot and posted some images from there fun and romantic engagement session at a ghost town near Las Vegas. After our wonderful time shooting their engagement session, they were very confident and comfortable with me photographing their wedding. 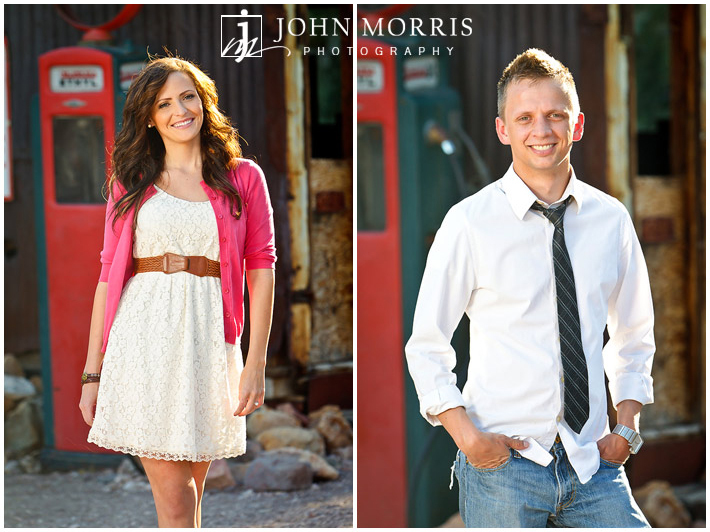 That is one of the biggest advantages to shooting an engagement session. We get a chance to work with our brides and grooms before the big day in a relaxed and fun session that allows us to get to know each other and this tends to lead to great photos on the wedding day. 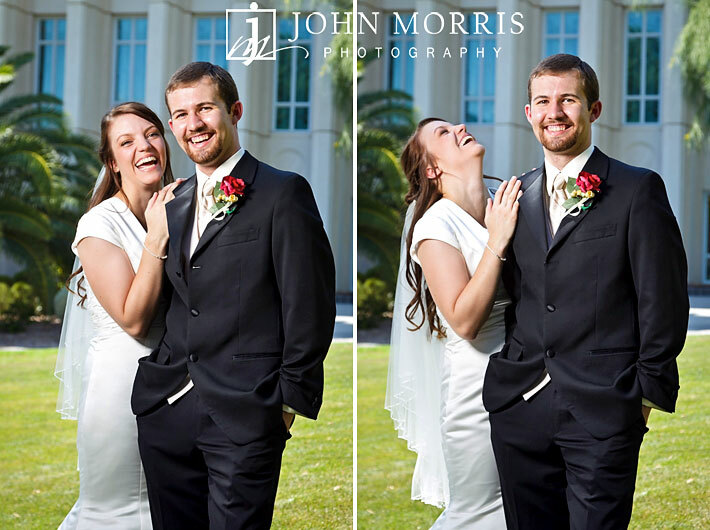 It also really helped that Elizabeth and Tyler completed trusted me to make them look their best and they were confident that I was going to capture the important moments and create memorable images of there beautiful wedding. 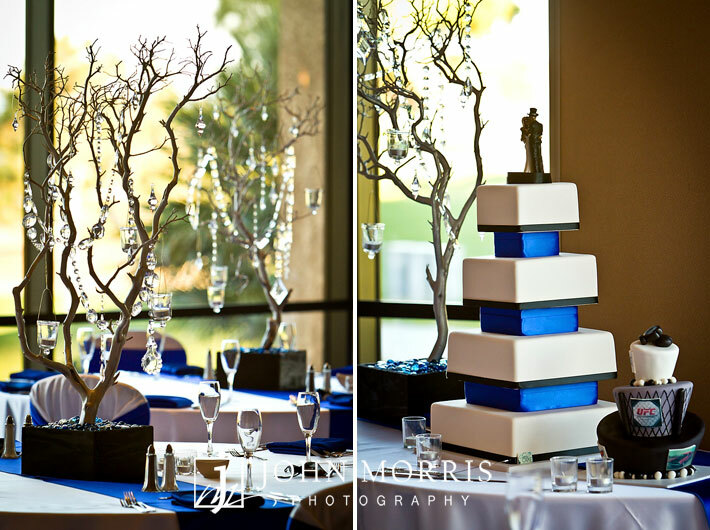 What also helped was that we worked with them on their wedding timeline, gave ourselves plenty of time for photos, and they didn’t try to cram too many things into a small amount of time. 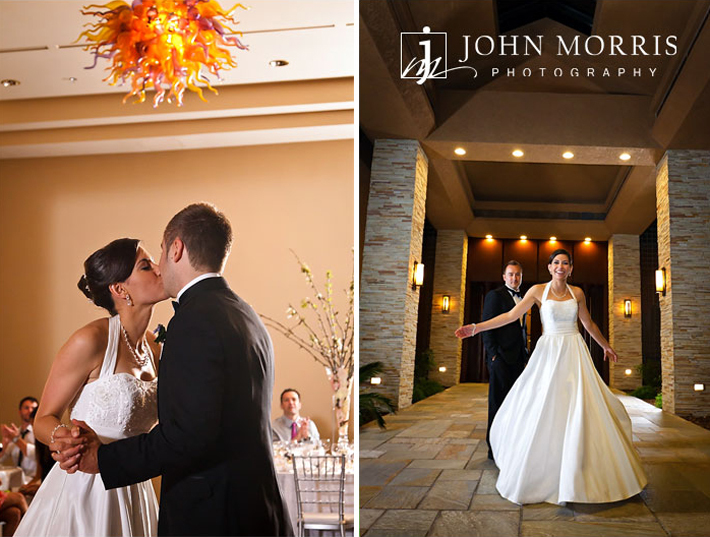 All these factors led to the wedding photography being fun, relaxed and incredibly beautiful and romantic. Thank you Liz and Tyler for a wonderful day and congratulations on your wedding. 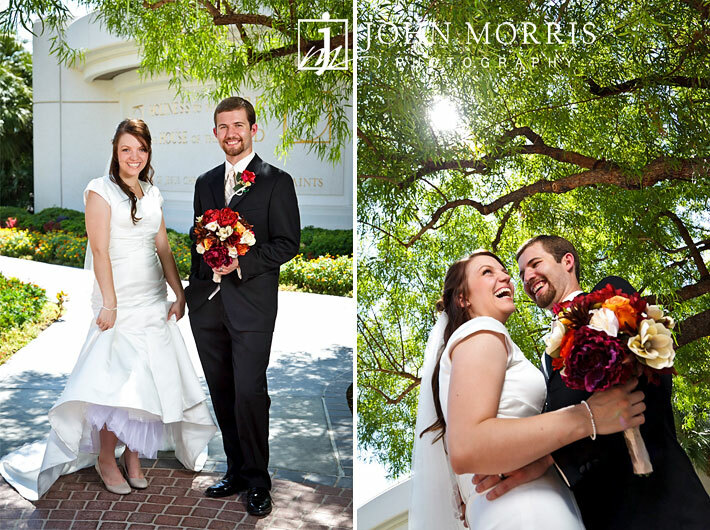 We have photographed many wonderful wedding images at the Mormon Temple here in Las Vegas. 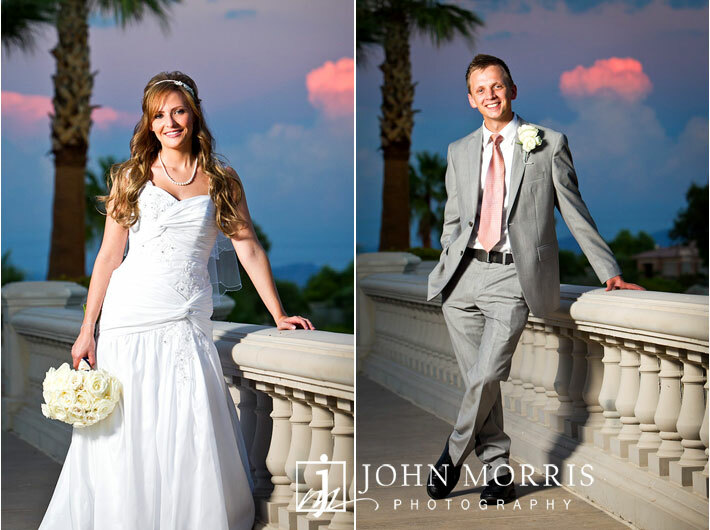 With the absolutely stunning temple that sits at the base of Sunrise Mountain overlooking Las Vegas, photographing weddings at the temple are a real treat for any photographer privileged to capture the fun, romantic weddings that take place here. While the Mormon Temple is always stunning any time of day, any time of year, every wedding we have photographed is different and we always look forward to the challenge of creating new and exciting images based on our couple’s personalities. 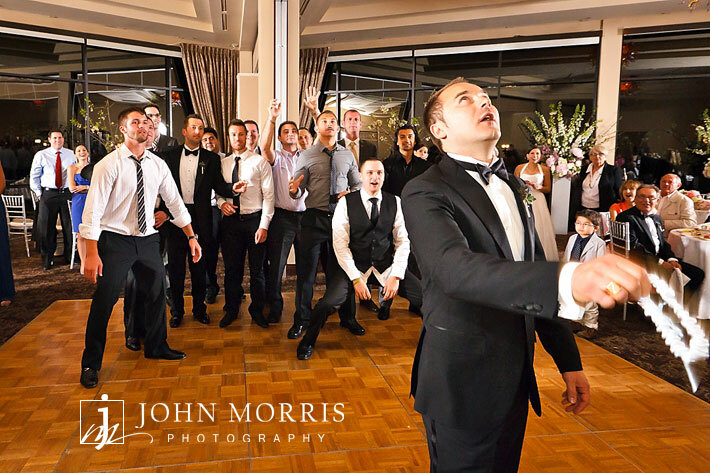 From the formal family photographs that we try to make fun and eventful to the romantic and unbridled excitement from our newly wedded bride and groom, every photograph is beautiful and memorable in its own way. 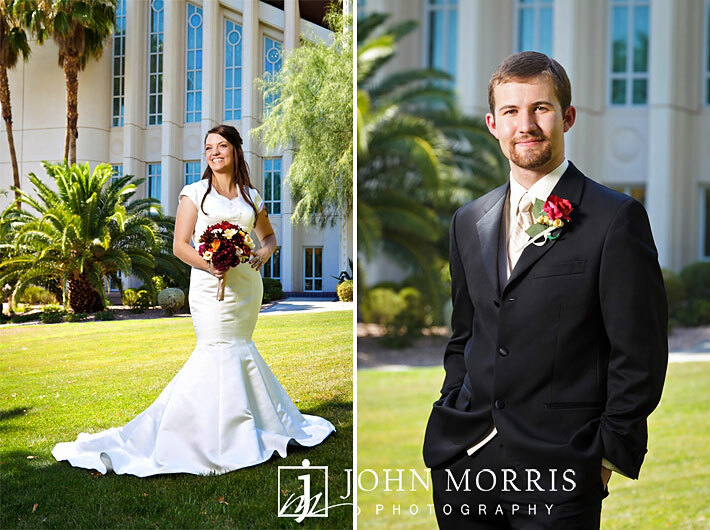 We are very comfortable with the format and location and hope you will consider us for your wedding photography should you decide to get married at the Mormon Temple in Las Vegas. 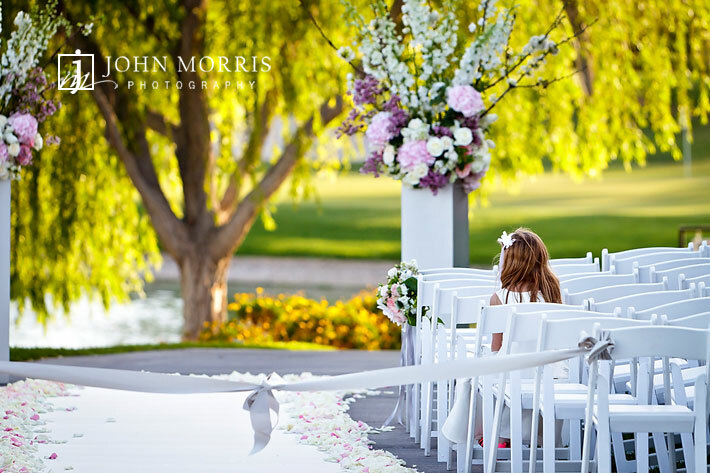 Being a photographer on the preferred vendor list at Siena Golf Club in Las Vegas is certainly a privilege while the added perk of being able to consistently create beautiful images at this gorgeous location is a definite win situation for both myself and any bride who has chosen this venue for her wedding. The lighting, particularly towards sunset is always spectacular and wonderful to work with, while the structures and greenery are maintained impeccably by the staff. The coordinators and crew at The Siena Golf club are very flexible and are more than willing to work with the bride and her outside vendors to create a unique, personalized wedding which really makes it easy for me to get the great photography my brides expect. This flexibility really allows us to set aside the proper amount of time so that we can make the most of the great opportunities for wonderful photography that Siena has to offer. 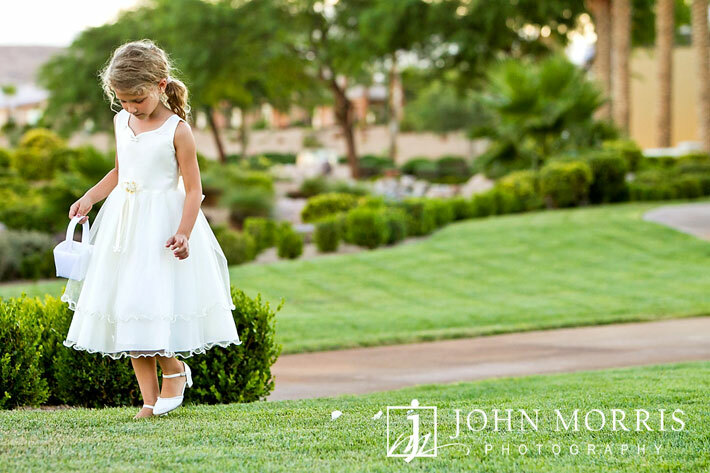 If you are shopping for a wedding venue in Las Vegas for your upcoming wedding, we highly recommend you speak with the coordinators at Siena Golf Club and while you are there, take a look at one of our photography albums on display. 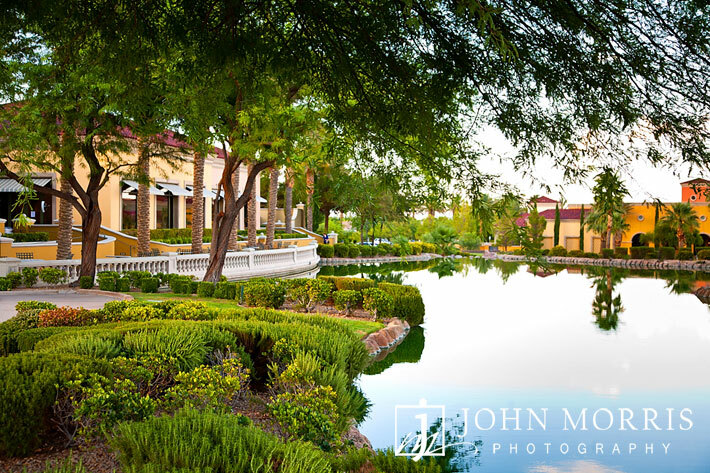 After an incredible engagement session at an old mining ghost town near, we were very excited to be shooting Pierre and Ciara’s wedding at the beautiful Spanish Trails Country Club in Las Vegas. Pierre is training for the UFC so we were expecting a rough and rowdy wedding crowd. 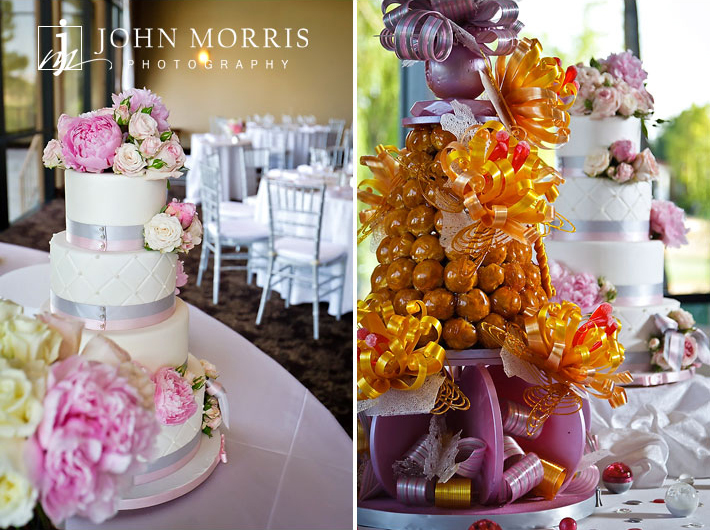 What we photographed instead was a beautiful, romantic and elegant event. Ciara’s personal touch and style were evident everywhere we photographed as you can tell by the images we were able to capture. Of course, there was a little bit of Pierre’s influence as well in the UFC themed Groom’s Cake. 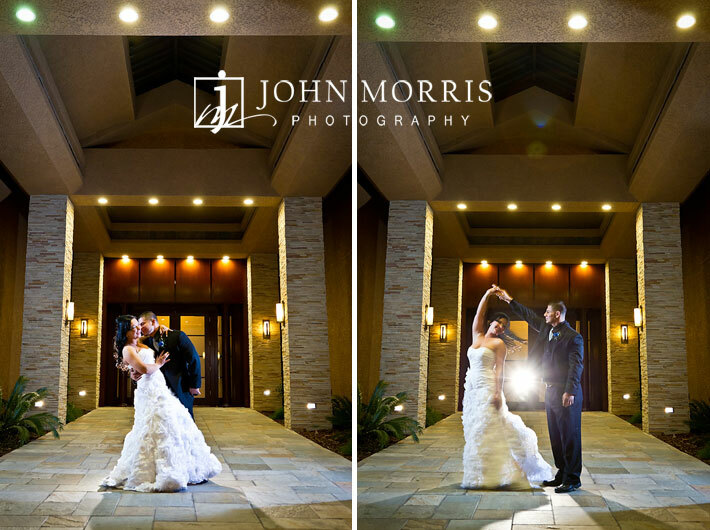 Thank you Ciara & Pierre for trusting John Morris Photography to capture your wedding day. 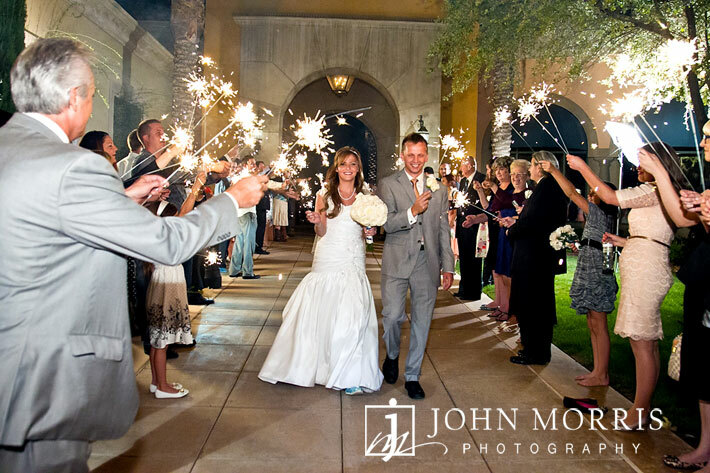 Here’s a sneak peek from Daisy and Brett’s destination wedding at the Westin Lake Las Vegas Resort this past Saturday. It was a beautiful wedding with so many intimate, heartfelt moments. The first look was absolutely perfect. 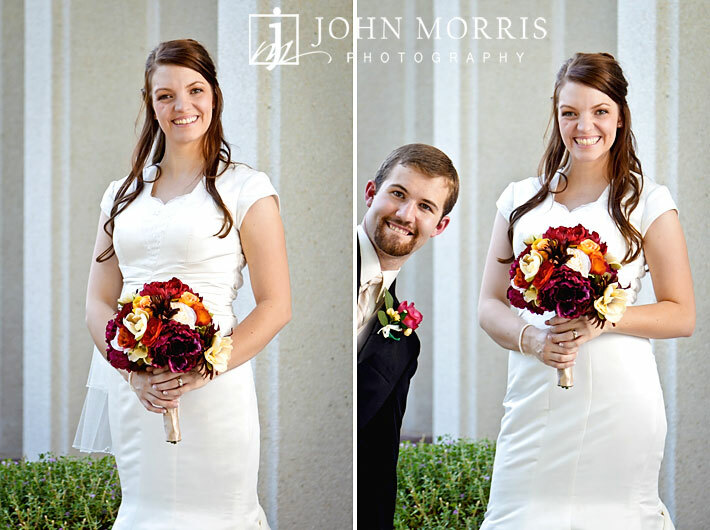 It was such a pleasure to be their photographer and capture their wedding day. Daisy and Brett, I can’t wait to share the rest of the photos with you. You two couldn’t look any happier! We are excited to share photos from our latest editorial shoot for the cover of Beautiful Bride Magazine and Las Vegas Bride Magazine! Several months ago we were contacted by the publisher of Beautiful Bride Magazine and Las Vegas Bride Magazine to photograph this month’s cover image. It was an honor to be asked to photograph the cover and to work with the wonderful team of professionals who helped bring everything together. You may recognize the cover model, Stefanie Jay, a news anchor for FOX5 Las Vegas. Stefanie was an absolute pleasure to photograph, and from a photographer’s perspective, a perfect model. Not only is she a natural at posing in front of the camera, but also an utmost professional and loads of fun to work with. 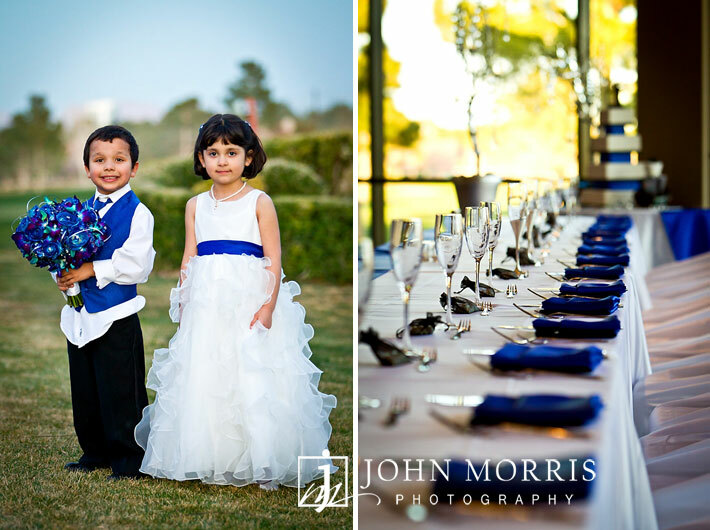 A big thanks to Jennifer Florendo, editor of Beautiful Bride Magazine, Stefanie’s mother who came along to assist in the shoot, Melinda of Hairz Melinda, Bella Bridesmaid, Flora Couture, T-Bird Jewels, and Shelly Sampson of Canyon Gate Country Club for providing us with a beautiful venue. Even with such an incredible team of pros, there were a few challenges. Namely, changing lighting conditions and getting through ten to fifteen different outfits in a limited amount of time. 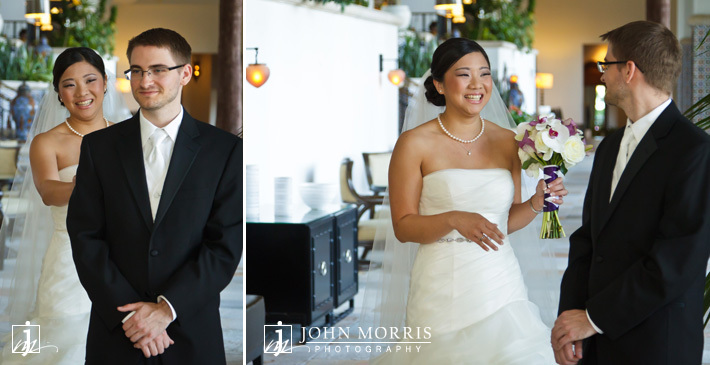 Stefanie and the stylists were extremely efficient in quick touch-ups and outfit changes. Meanwhile, our own photo crew was busy preparing for different sets and lighting situations. Here in the desert, the light changes quickly and can be very harsh, so it was important for us to choose locations where the model wouldn’t be overwhelmed by harsh, direct sunlight. In order to balance out the brightness of the sun, we used a few powerful strobes and a reflector to enhance the images. The photos were also published in an earlier article where Stefanie shared her experiences as a bridesmaid. Having been a bridesmaid in her fair share of weddings, she gave tips and advice for planning brides and discussed what brides can do to make the most of their big day. 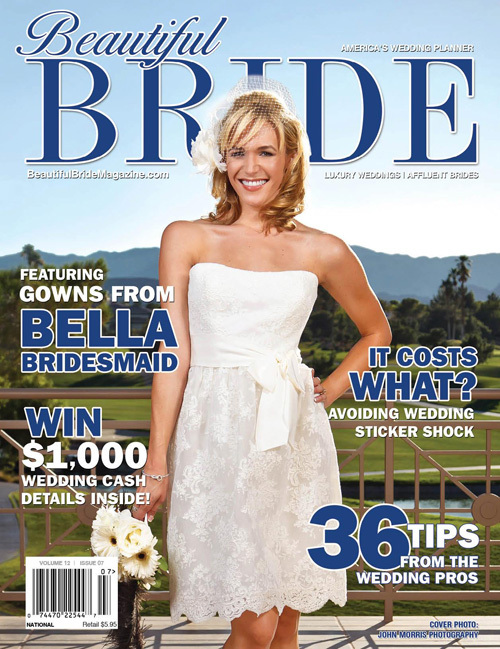 Be sure to pick up a copy at your local newsstand or visit www.beautifulbridemagazine.com.